Worldwide famous, the Belém's pastels began to be manufactured since 1837, according to an old recipe found in the Jerónimos Monastery. 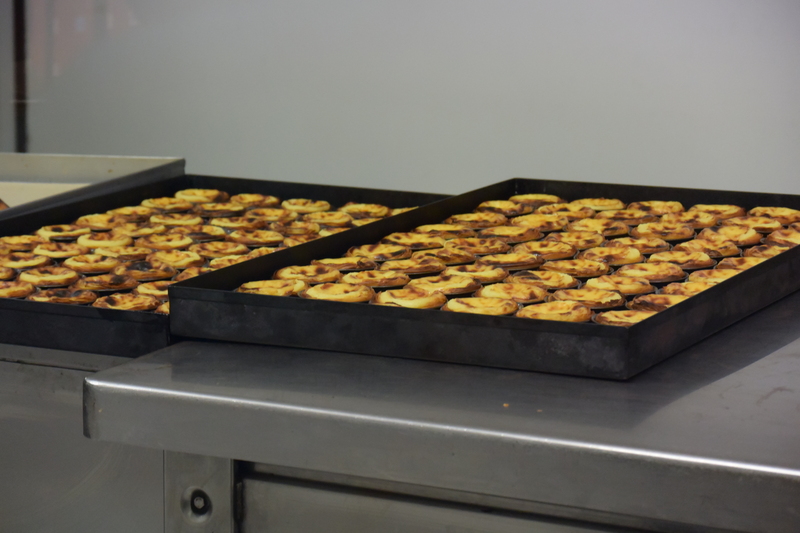 Since then the Pastéis de Belém has provided the intense palate of traditional Portuguese sweets. Between the Tejo river, the Tower of Belém and the Jerónimos Monastery there is an unmissable delicacy, something that will make you have water in your mouth, so this food is called Pastel de Belém. Belém's pastels are probably one of the best-known and most successful cakes in the world, from Brazil, China, through the US and Australia, everyone knows the sweetness of this gastronomic bomb. Imagine yourself sitting on an esplanade, enjoying a beautiful view of the monuments dotted around the area of ​​Belém, the magnificent Tejo river, having a flaming sun to warm your body up and being at the same, time to appreciate this small refinement of the Gods. The Belém's pastels are a Portuguese specialty not to be missed, because in a simple and complex way at the same time, it reveals how good Portugal and Lisbon have to offer in this branch, allied to all the attractions around them, pastels of Belém are something that one should not dare to lose. These as recipe and name are patented and distinguish themselves by their preparation. The pastels are somehow accomplices to the history of Lisbon, since it was the fusion between a sugar refinery and an old recipe of a monk of the Jerónimos Monastery, located in Belém, grouped to the pertinence of a visionary named Domingos Rafael Alves, This product born so Portuguese, and that sprinkled with sugar and cinnamon, two key ingredients, make Lisboa much more attractive to be visited. As long as people continue to want to eat and continue to want to indulge in this food of excellence, 180 years of history will surely turn into another 180 years of success. Considered one of the 15 best delicacies in the world, by The Guardian newspaper, the pastels of Belém are something that will make Belém (Lisbon) a mandatory stop!